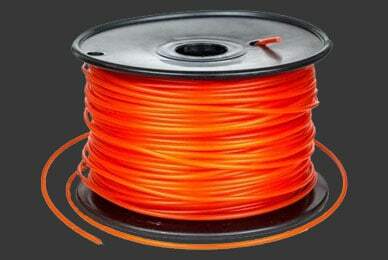 Once you’ve bought a 3D printer, you have to start thinking about what kind of filament to get. Most beginner’s guides recommend PLA or ABS. They’re interchangeable but the reality is that there are pretty significant differences between the two. Do you really need to know these differences? Well, if you’re only going to be printing occasionally, probably not. 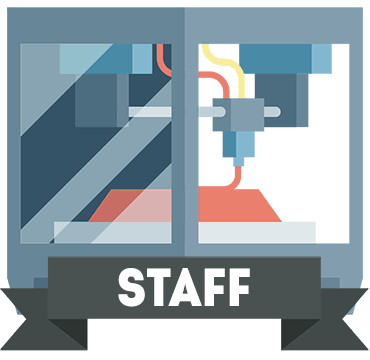 However, a deeper understanding of your equipment will be a huge advantage when you move onto printing larger and more complex items. Without further ado then, let’s jump right in. PLA stands for polylactic acid. What makes PLA so different from most other plastics is that it’s made from renewable, organic materials like sugar cane and cornstarch. Because its production doesn’t rely on petroleum, it can be made at a far lower cost. This keeps prices down for the consumer while reducing PLA’s environmental footprint. Further, PLA degrades a lot faster than other plastics. 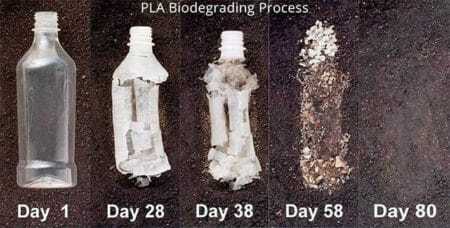 A standard plastic bottle can take over a hundred years to break down whereas PLA breaks down fully within two years. This doesn’t mean it’s a poor choice for printing with, though; as we’ll cover in the section below. PLA has a very low glass transition temperature. This is the temperature at which the filament becomes malleable – for PLA, it’s around 65°. The good news is that you don’t need nearly as much heat or power to print with this material. The bad news, though, is that PLA isn’t suitable for printing things that have to withstand heat for any real period of time. Now, because PLA is made with natural sugars, it’s pretty sticky when heated. This is great because it helps your models stick to the print bed and prevents them from shrinking as you print. As a bonus, the sugars give off an almost honey-like smell that makes every print session that little bit more enjoyable. PLA is a bit more brittle than other materials, which does limit its range of applications a little. For instance, we wouldn’t make a PLA striking hammer or anything like that. Instead, it’s better used as a general all-purpose plastic for miscellaneous items like stationary holders or figurines. 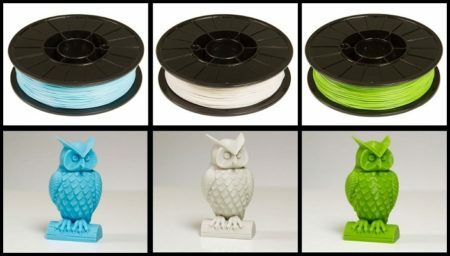 We were able to find 10-meter spools of plain PLA for less than $6. Again, this is due to the material’s unique construction. Because it’s so affordable, you don’t have to worry as much about making mistakes – after all, you can always just try again. 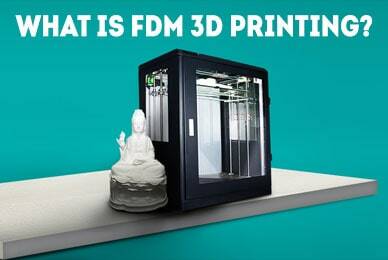 For this reason, it’s one of the simplest ways to get started in the world of 3D printing. ABS (Acrylonitrile Butadiene Styrene) is the other most commonly used 3D printing filament. While ABS doesn’t have the same biodegradability as PLA, it can be recycled very easily. In fact, one of the most common uses for old ABS is making new ABS. It’s the circle of life – cool, isn’t it? 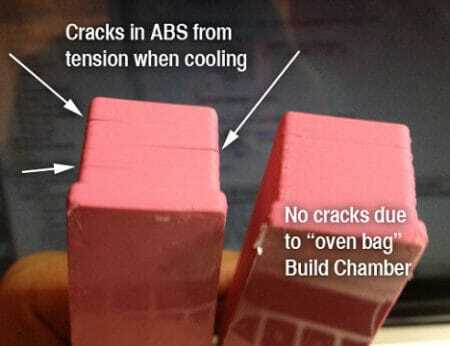 ABS is a favorite among hobbyists because of its versatility. It can be easily painted and even reheated several times without burning. If there’s an edge that isn’t quite right, no problem. Just heat it up again and you can fix it. So, what else sets it apart from other materials? ABS has a higher glass transition point than PLA, at about 105°C. This means that it’s a better choice for printing objects that will be impacted by heat. For instance, you could make a gearshift knob that won’t melt in your car on a hot day. There’s another factor that makes ABS the go-to material for many printers. It’s very resilient. ABS is far more likely to stretch than shatter and it’s resistant to corrosion too. Its tensile strength makes it an excellent choice for people looking to sand, buff, or glue the finished product. There is one thing you should be aware of, though. ABS has a tendency to shrink pretty aggressively when cooling. For this reason, it’s vital you ensure there’s adequate heating in your printing area, lest the product shrink too much and crack. 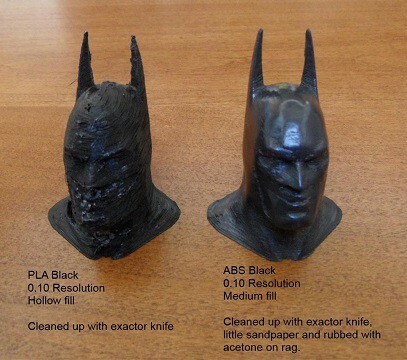 Unlike PLA, ABS has a smell that can only be described as unhealthy. Guess what? This is because the fumes are bad for you. Make sure to print in a well-ventilated room. We know, we know: a well-ventilated, yet warm room? Unfortunately, this balancing act is the price to pay for a stronger, more durable print. Generic ABS is roughly the same price as PLA, if not a little cheaper. We managed to find a 10-meter tester spool for as little as $5 but you’ll likely want to buy in higher volumes to drive the price down even farther. Both ABS and PLA are good choices for beginners but which is best for you? Well, this really depends on what you’d like to create. PLA is better for basic, everyday printing whereas ABS excels at building sturdy, shock-resistant pieces that can be further modified afterward. Since both are relatively inexpensive, there’s no reason not to try them both, assuming your printer allows it. Now that you know the basic differences between two of the most commonly used filaments, there’s nothing to stop you from printing whatever you like. Remember to research your filament provider beforehand to ensure you get the best product available, though. That said, have fun and happy printing!